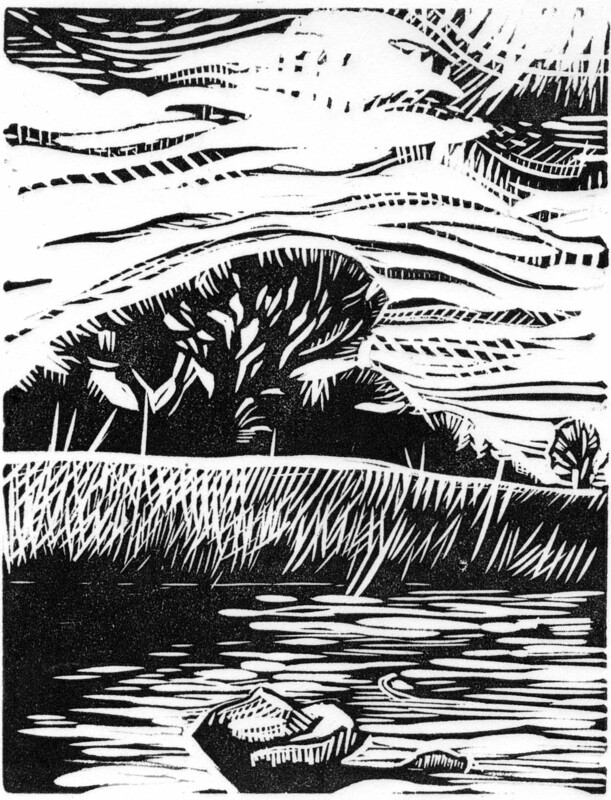 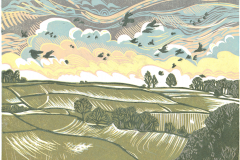 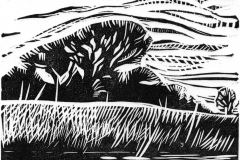 I am a self taught linocut printmaker, based in and inspired by the Northumbrian landscape. 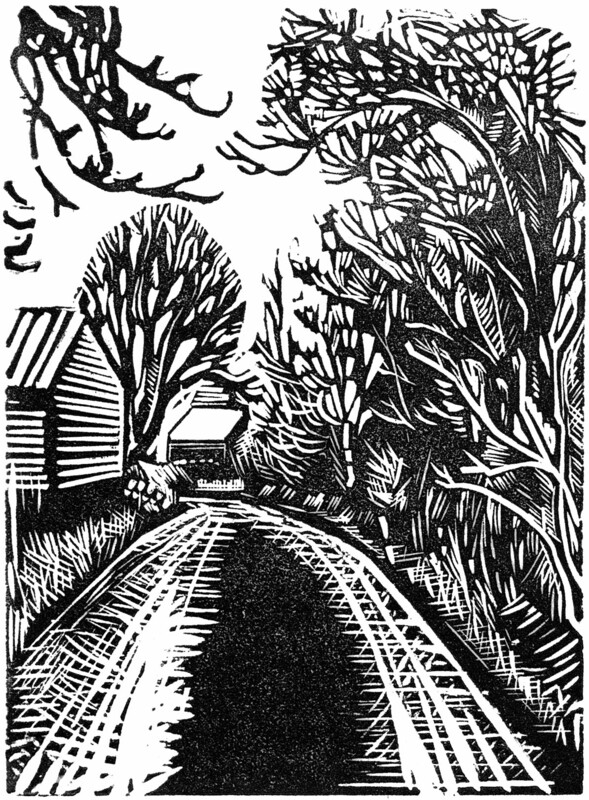 Much of my work leads from my own understanding of sense of place, as well as a love of the light, and the way different weathers jostle one another to capture my attention. 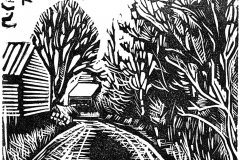 I am captivated by the sweeping curve of a hedge as it crests a rise, a stand of trees thrown into sharp perspective by a bank of snow. 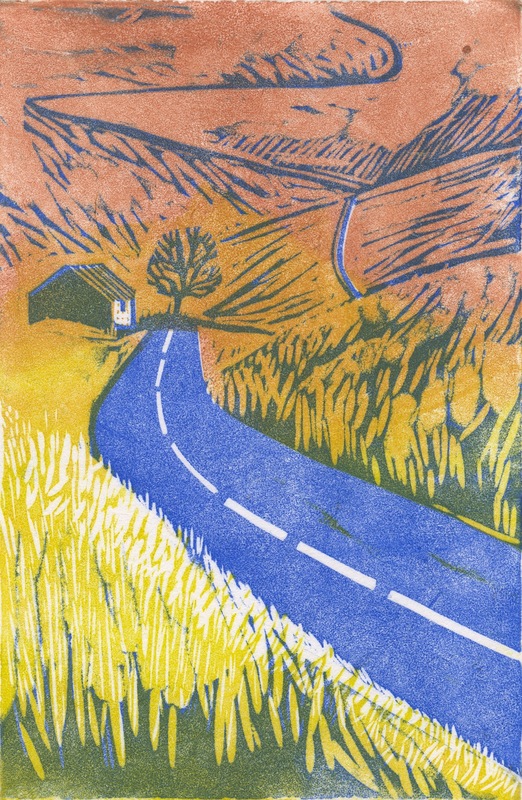 All of my prints are hand pulled, usually with my wooden spoon or Japanese baren, so although I produce limited edition print runs, no two prints are exactly alike. 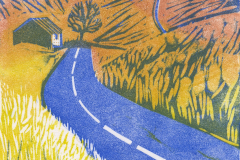 Each print begins as a series of photographs and sketches, which I develop into a fnal design back in my studio, before cutting and hand printing my blocks. 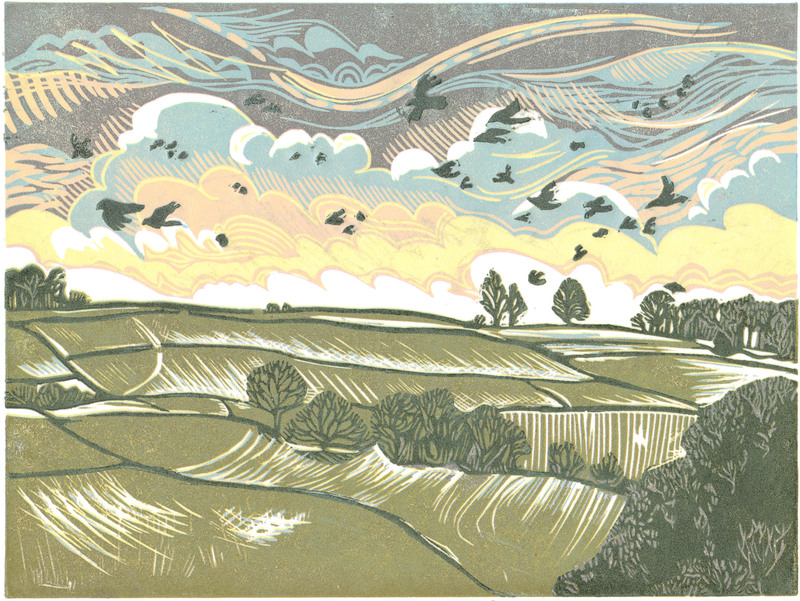 The graphic quality of lino forces me to simplify my work, and challenges me to fnd novel ways of mark making to convey the feeling in each image, from a walk to the river to the frst fight of the rooks as they soar past my windows.